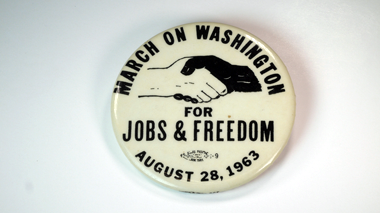 The mission of Making the Movement: Objects, Objectives, and Civil Rights is to preserve the artifacts from one of the most important periods in American history. Activists, leaders, and everyday citizens used the objects in this exhibit to combat Jim Crow and to achieve the objectives of ending segregation and disfranchisement. Please consider giving a donation in any amount to the project. All donations are used to advance the mission of Making the Movement.